On their way to getting ready to change Indian politics, the Congress party announced on Monday that their computer department had been renamed as ‘Data Analytics Department’. Praveen Chakravarty, former investment banker, angel investor and a political economist, has been nominated the chairman with immediate effect. 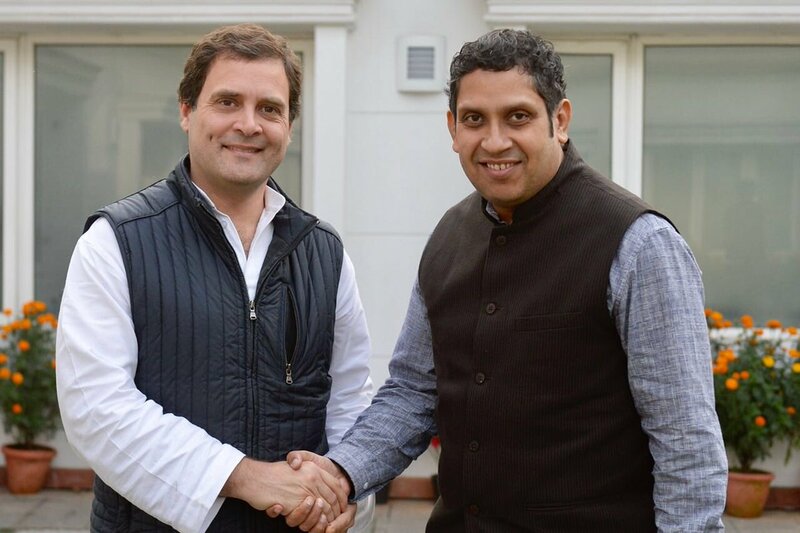 Congress president Rahul Gandhi shared the news on Twitter along with a photo of himself and Chakravarty. He also added that the move was aimed at using Big Data more effectively. Chakravarty is an alumni of BITS, Pilani and has an MBA frowm Wharton. He has worked with companies such as IBM, Microsoft, Thomas Weisel and BNP Paribas. He was also the founding board member of InMobi, mSwipe, VCCircle and many such successful startups. Interestingly, he has also worked with Nandan Nilakeni on the Unique Identification Authority of India (UIDAI) or the Aadhaar project. Before the Data Analytics Department, Congress party has launched other new wings such as the All India Professionals’ Congress, the Unorganised Workers’ Congress and the All India Fishermen Congress, among others. Taking Chakravarty on board seems a deliberate choice, because of his strong economics background. Many reports have suggested that this indicates that the “grand old party” is likely to focus on economy in the run-up to 2019 general elections. Chakravarty’s Twitter timeline, for example, is full of examples about discrepancies in data, economic details and insights derived from data analysis. In September 2017, Gandhi had visited the US to meet noted personalities in the AI and analytics fields. He was to meet several think-tanks from Silicon Valley at the San Francisco Bay and discuss future technologies. Interestingly Bharatiya Janata Party (BJP) had invested a huge chunk of money as well as manpower on technology, social media, data analysis and marketing during the runup to the 2014 Lok Sabha elections. Arvind Gupta, who had led the IT team for BHP before the last elections, had used technology and data to communicate and to convert people into volunteers and volunteers into voters. He even ran a campaign internally called ‘Organise online for success offline’. Like any company, the BJP IT cell used data to understand trends, pick markets correctly and run the campaign.